As an adoption consultant with Christian Adoption Consultants, I've seen a drastic increase in the amount of questions that are asked about ethics, agencies, attorneys, fee structures, expectant mother/birth mother care, etc. As an adoptive mother and someone guiding families through the adoption process, I find it very encouraging that families are doing their research and asking the hard questions. There are a ton of different avenues online where hopeful adoptive families can acquire information regarding adoption. From a quick online Google search to adoption support groups on Facebook-there is so much information out there! There are plenty of amazing adoption resources accessible to families. But, at times all of the information can be very overwhelming. In fact, I've had many families tell me just that. How do you know who you can trust? How do you know what information is accurate? When I was working on my Master's degree in counseling I wrote many research papers. As a part of my work, I was required to include peer reviewed articles and journals. Peer review means these articles and journals had gone through an extensive series of evaluations by experts and scholars to establish their validity. I couldn't just pick a topic to write about and then "Google" my way through it to make my point. I had to ensure that the material being researched adhered to the highest credentials by the experts on that topic. We live in a day and age where anyone can learn anything about anything. Although this has many benefits, it also reaps consequences. The consequences are that false, inaccurate and/or incomplete information about a topic has become easily accessible and transmitted to the general public. How many times have you stayed up late at night Googling your symptoms, only to be self-diagnosed with some crazy, rare disease based on someone's random post in a discussion board? Although we can glean a lot from others personal experiences, when it comes to something as important as your health, one would think you’d at least want confirmation on this crazy rare disease by an expert in the field: your doctor. When my husband and I were researching adoption we quickly realized how much we didn't know about it. I'm so thankful our paths crossed with Christian Adoption Consultants. We felt more at ease knowing they were truly professionals in the field and had been around since 2006, assisting over 2,500 families on their adoption journey. The directors were more than just adoptive parents, they had founded 3 licensed adoption agencies in 3 different states, and had experience in working with adoption attorneys, social workers and case managers as well as state licensing specialists. When we signed on with CAC we weren't just getting access to one adoption consultant, but rather a team of 20 adoption professionals with 120 years of combined professional adoption experience. Four months after we signed on with CAC, we brought our twins home. And we could not have done it without their guidance, encouragement, support and prayers. Shortly after the birth of our twins, I joined the team at CAC. Although our team has adopted 45 kids (and counting!) between all us, our knowledge goes beyond our experience as adoptive parents. We have team members that hold degrees ranging from masters to bachelors in the counseling, social work, child welfare and human services fields. Additionally, we have a licensed social worker on staff with over 17 years experience. 1. Where did you acquire this information? Who is the author? Adoption Facebook support groups are great places to learn from other's adoption experiences, but just as you would go to a doctor to verify your Google imposed self-diagnosis, confirm said information with an adoption professional/expert. 2. Is this a fact or opinion? Facts can be verified. Opinions cannot. Just because a lot of people are saying it doesn't mean it's true. It's very easy to repeat information others have heard or said because it sounds right or is dressed in a pretty package. But, do your research. Make sure the sources are credible. 3. When was this information published? The adoption world is constantly changing. While doing your homework make sure you’re looking at the date it was published to ensure it’s relevancy for adoption today. 4. Are they a part of a reputable adoption organization? There are many things that make an organization reputable: education and experience in the field are just a few. 5. What is their relationship to adoption? Are they an adoptee? Birth mom/parent? Adoptive parent? Social worker? Knowing this information will give great insight into where they are coming from. For example, I'm not an adoptee or a birth mother. I can only speak to what I've learned from other adoptees and birth mothers. But, that is second-hand information. That doesn't mean I can't share what I've learned or discredit the information, but it's important for the audience to be aware of the sources relationship to adoption when speaking on it. 6. What topic are they discussing and what are their credentials? For example, someone who is discussing ethics and how it relates to an agency: Do they have any experience working at or with an adoption agency/attorney? Are they a social worker? Have they counseled expectant mamas/ birth parents before? If they haven't personally, are they a part of an organization that has where they are receiving education to be equipped with the knowledge they need to be discussing said topic? I can't tell you how many people have come to me with inaccurate adoption-related information regarding something they read in an adoption support group on Facebook or the comment section of someone's Instagram account. I’ve seen false information regarding adoption that was essentially just parroted from something that someone else read or heard. It’s my hope that these questions will serve as tools to help you filter through information that crosses your path. After hearing no after no, you may begin to feel your situation is hopeless. It can be tempting to think that every no you receive is rejection, as if someone is screaming with a megaphone right in your face, "this is never going to happen." But I'm here to remind you that your situation is not hopeless. Your situation isn't hopeless because God is still writing your story. Even the no’s are a part of that plan. He hasn't put down the pen. He just works at His own pace in His own time. I can assure you with full confidence that however difficult your situation may be, it is not hopeless. Although I don't know how or when your family's story will unfold, I know God does. 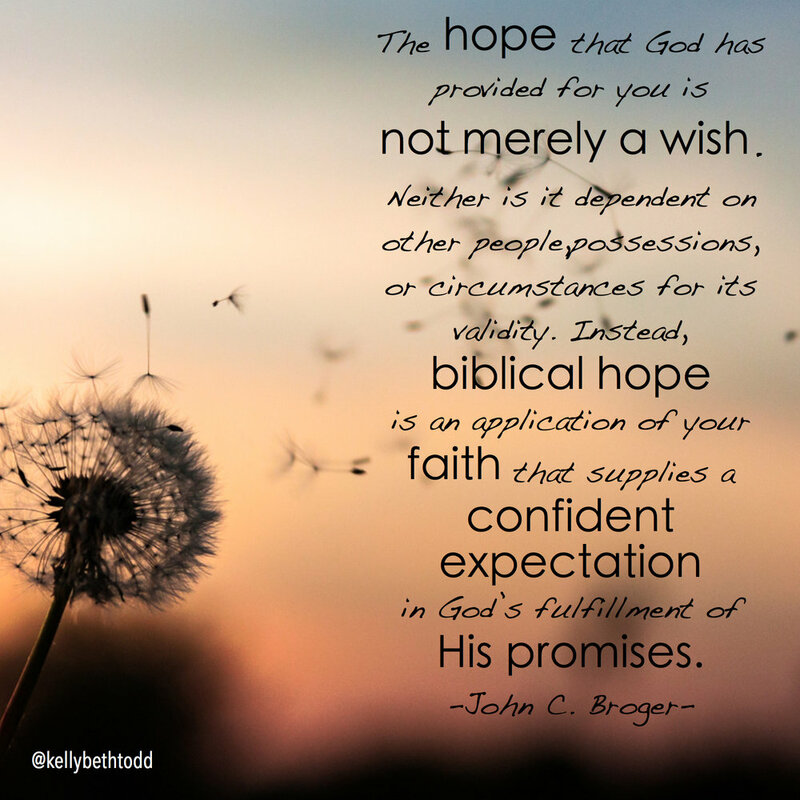 I'm trusting that the one who called you to the adoption process in the first place has not forgotten about you, even when at times it may feel otherwise. The road I'm going to encourage your heart to go down won't be a popular one. It won't be a popular one because it doesn't end or begin with the promise of a child. 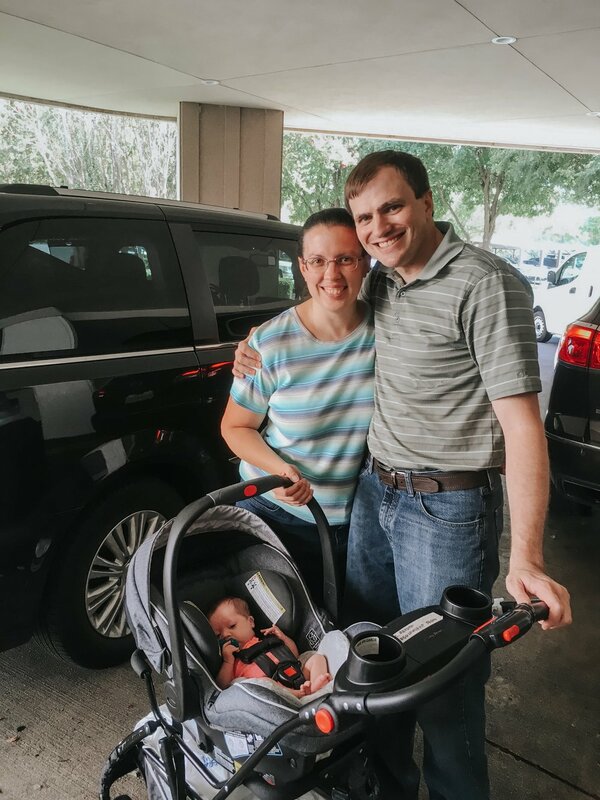 As Christians pursuing adoption, it should be our deepest desire that these expectant mamas make the best decision for their child- whether that be choosing another family or being empowered to parent. Even if she doesn't choose your family, there is still reason to have joy. "How can that be, Kelly? Are you asking me to be happy over the fact that we were not chosen? That seems rather dismissive of our feelings." I'm not asking you to have a fake or false sense of happiness over the fact that your family wasn't chosen. I'm not saying you should just "get over it." I'm not encouraging you to dismiss your sadness or feelings of disappointment. As someone who has walked through infertility and the adoption process, I know it is not an easy journey. But as you're processing through these heavy feelings, I encourage you to look up to Christ. Look at what God is doing. I'm asking you to remember that even in your disappoint there is a reason to have joy in this situation. This expectant mama chose life for her child. This expectant mama considered all of her options and chose life. This expectant mama connected with another family. This expectant mama chose a family to parent her child. As Christians, we can hold both disappointment and joy in the same hand because we know that God is working through all of these things. At times you may look around the adoption community and compare: "How did they match so quickly? What are they doing that we aren't?" In my experience, comparison only leads to further disappointment and it's also pretty good at stealing your joy. 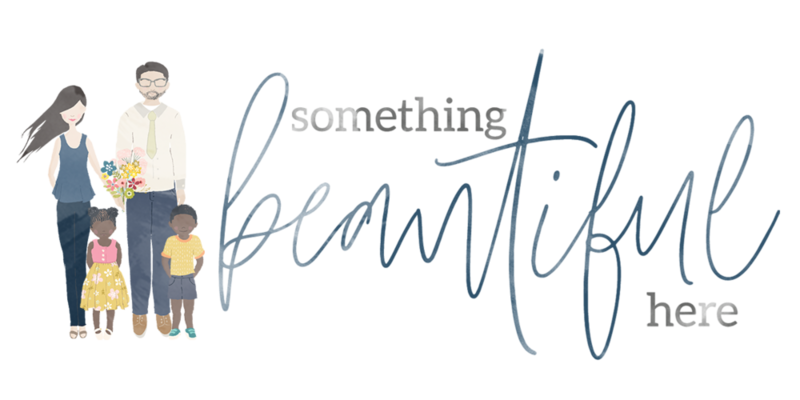 When my husband and I were struggling with infertility it seemed like everyone around us was getting pregnant so easily. I had to get off Facebook for a bit of time because I couldn't handle all of the pregnancy announcements blowing up my newsfeed. At times I felt consumed by jealousy and bitterness. I forgot to fix my eyes on Christ. God was doing a work in my heart, but I I couldn't see it because I was so blinded by what I wanted. I can honestly say that I'm so grateful that God didn't give me what I wanted when I wanted it. Why? Because if He had I would have missed out on some major heart growth that God needed to do in me. Why? Because if He had I wouldn't be the person and parent I am today. Why? Because if He had we wouldn't have started the adoption process when we did and Roman and Ruby wouldn't be our son and daughter. And I just can't imagine our world without them. Perhaps your journey to growing your family through adoption is taking longer than you expected. Perhaps you’ve heard more than a dozen no’s and are starting to think that it’s never going to happen. Maybe you’ve looked around and noticed other families match quicker than you. Perhaps you’ve wrestled with the lie that something is wrong or undesirable about your family. My prayer for you is that you wouldn’t let the delays deter you from the desire God has placed on your heart. God never promises that our road will be easy, but He does promise to equip us with everything we need to accomplish everything He has called us to. 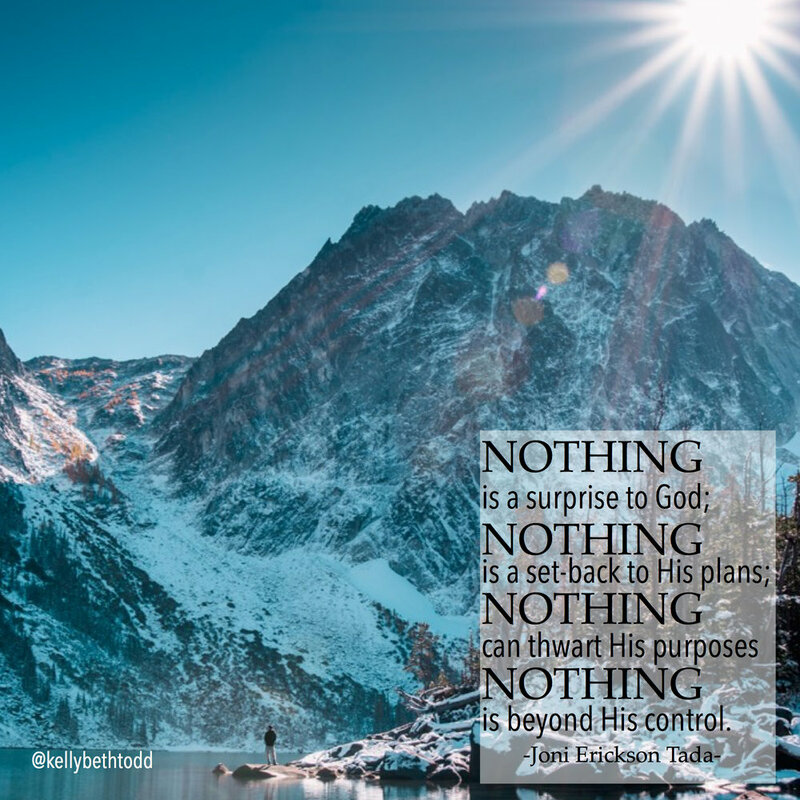 Don’t forget that He is doing a work even when you can’t see it. He is doing a work even through the delays, detours, and even all of the nos. And even if she doesn’t choose your family, God is still writing your story. It isn’t over. Grab a cup a coffee, pull up a seat and take a few minutes to peruse my new website design! A big shout out and "thanks a bazillion" to Manda Julaine Designs for making all my blog inspirations come to life on my computer screen! They are a dream to work with and I'm so grateful our paths crossed! My blogging journey began almost a decade ago, as a means to keep family and friends updated on my health after having open-heart surgery. By the grace of God, life went on. And before long, this little space became a means to share my messy, grace-filled life with the purpose of encouraging and instilling hope in others. A lot of changes have taken place since that time: I finished my undergraduate degree (finally), got married to a soon-to-be pastor, survived cancer a few times, struggled with infertility and loss, finished my Master's degree in counseling, moved across states, adopted our beautiful son and daughter, made it through a national disaster, started working for Christian Adoption Consultants and a ton of other little and big things in between. Through all of these transitions one thing that has remained true and constant is God's unconditional love and faithfulness. And so that is what I write about. If you choose to follow along, (which I hope you do), I pray you would be encouraged and reminded of God's big love for you, a love that sent His Son Jesus Christ to die on the cross for our sins, so that we could come to know Him. I pray you will be comforted as you read stories of God's faithfulness and grace in the midst of struggles and trials, motherhood and parenting, marriage and adoption. 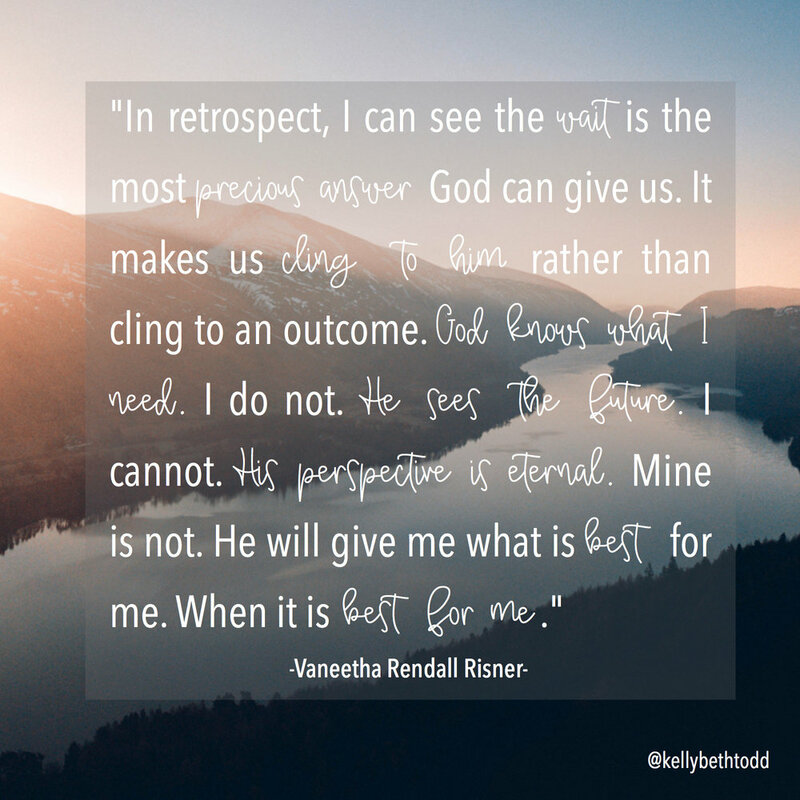 It is my hope that you would be reminded that even when your eyes can’t see what God is up to and you find it hard to follow His brush strokes-He is at work. He is creating a masterpiece- something MORE BEAUTIFUL than you could ever imagine. I chatted with Shannon for the very first time around Christmas last year. I remember her talking about how it had been snowing there recently and they had been outside playing with their four boys. It has been such a joy getting to know their sweet family and have a front row seat to all of the incredible ways that God has provided. 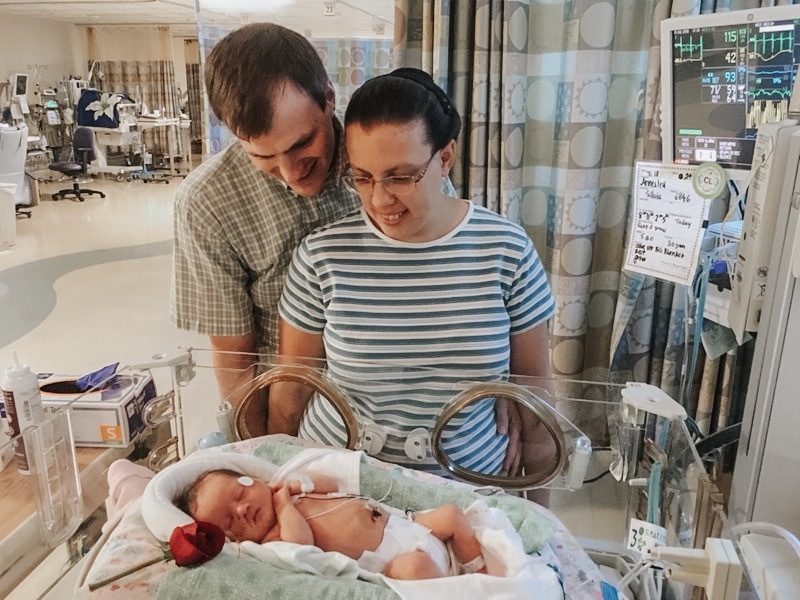 They signed on with Christian Adoption Consultants in January and in less than two months they were chosen to be the parents of a little girl by her brave birth mama. Shannon shares more of their story below. Adoption was something that Derek and I talked about early on in our marriage. 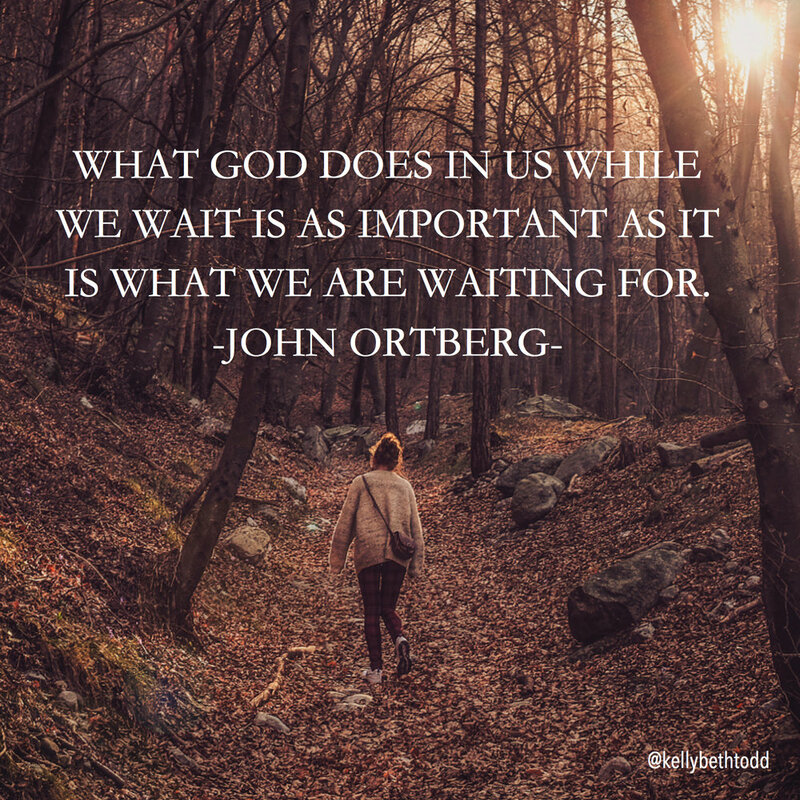 We wanted to wait on God’s timing and for His plan to be made clear. Looking back over the past 10 years- what a journey it has been. We decided to try and start a family shortly before our one year wedding anniversary. I know- so soon?! But we were both settled in our jobs, we felt financially secure, and let’s be honest- I have always loved babies and couldn’t wait to start that chapter in our lives. Over the next few years we had four boys about 2 years a part. However, we felt like our family wasn’t complete. Watching close friends journey through foster care and domestic adoption, our hearts were being tugged at more and more. I was ready to start the adoption process quite a bit before Derek was. I talked about it all the time. 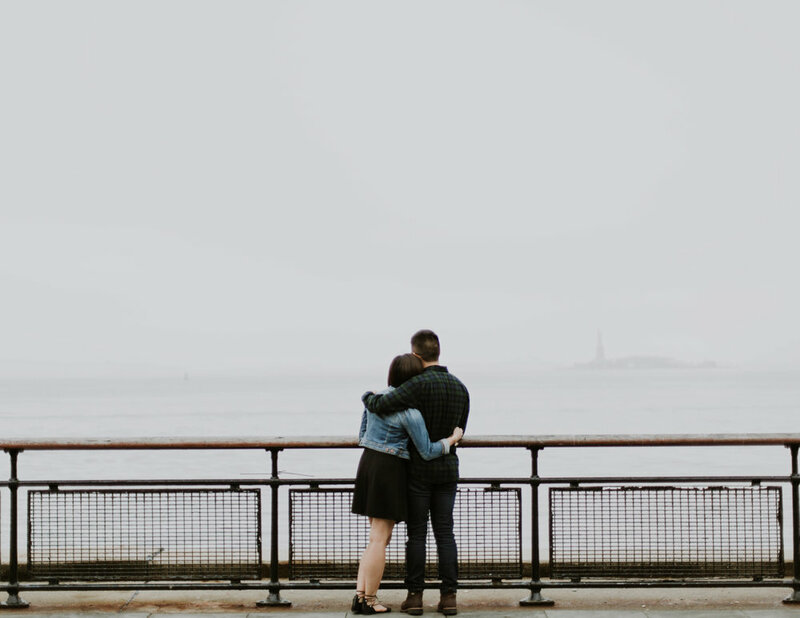 I felt like I was often nagging him about getting on the same page and wondered, “God, why are you calling me to something so huge, but not my husband? !” I decided to lay low for awhile and completely drop the topic and just pray. So for a few months that’s what I did. Finally, in October o f 2017 after we both spent time in prayer, Derek said that he really felt we should start the process towards adoption…NOW! After discussing our options with a friend who recently adopted, I called Christian Adoption Consultants and spoke with Kelly Todd. 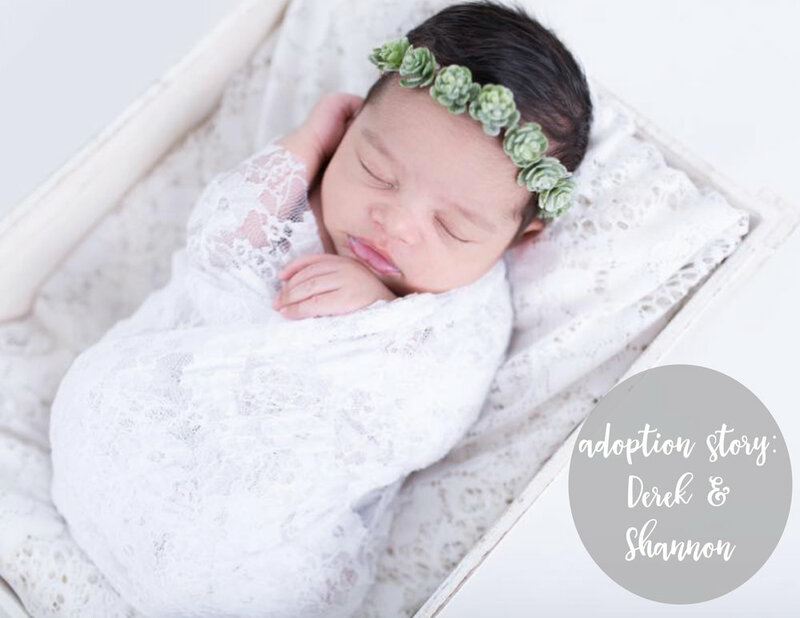 I loved the idea of hiring an adoption consultant to walk with us through the entire process. Because let’s be honest, we were total newbies and we had no idea what we were doing. Simply just chatting with Kelly and getting information from her was like talking to an old friend. I felt my eyes literally tear up at times during the conversation when talking about that missing piece of the family, and our hearts for adoption. Kelly was so helpful and made us feel very comfortable and confident throughout our entire journey. After our home study was complete near the end of January 2018, we signed on with CAC. Shortly after we received our first situation. We were so excited to give our “yes” for the first time, but knew very well not to expect things to happen right away. Over the next month, we said “yes” to 3 more situations. Every “no” felt more like a “not yet” to us, and we trusted that God wouldn’t let us miss out on His plan for our family. 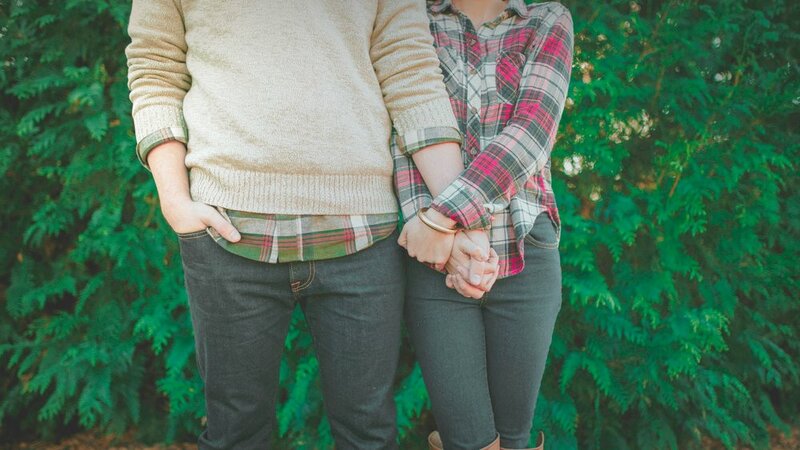 There were times when we doubted and we wondered if we’d ever be chosen by an expectant mama. Some of the doubt specifically came from the fact that we already have 4 biological children. What would an expectant mom think about that? But time and time again we heard God telling us just to trust Him. And so we did. Near the end of March we presented to another situation. The next day, as I was building a snowman with the boys outside during a freak March snowstorm, my cell phone rang with a number I didn’t recognize. But by the area code I figured it was the agency calling to tell us that the expectant mama chose to move forward with another family. I was shocked when she explained to us that we were chosen. It was us- this was really happening! There was just something about this sweet little baby girl having four older brothers to protect her that made us stand out. Derek pulled in from work just a few minutes later and I ran outside (barefoot and all) onto the ice and snow telling him that we were matched! It was exciting, but nerve wracking all at once. We had a few months until the expectant mother’s due date. Having time to prepare was good, but it wasn’t always easy. It was difficult waiting in the unknown and we still struggled with doubt sometimes. Our faith was tested almost daily, but God continued to show up. He showed up during our fundraisers-helping us cram in two huge events in that time frame. He showed up with our community- with the support and love and prayers we felt all the time. He was faithful and He provided for us in so many ways. When Derek and I discovered that the expectant mother wanted me with her in the delivery room, we thought it would be best if I headed in that direction a week early. Derek would plan on coming later. My mom graciously traveled out with there early with me. A few days later we were able to have lunch with Mama A and get to know her. When we first met she greeted me with the biggest hug. It was if we had been friends forever. We also met her parents that day, who were extremely supportive and made my mom and I feel like we were family. Saturday morning my mom left and headed back home to take care of our boys. I was in the unfamiliar city alone and continued waiting to get the call that Mama A was in labor. 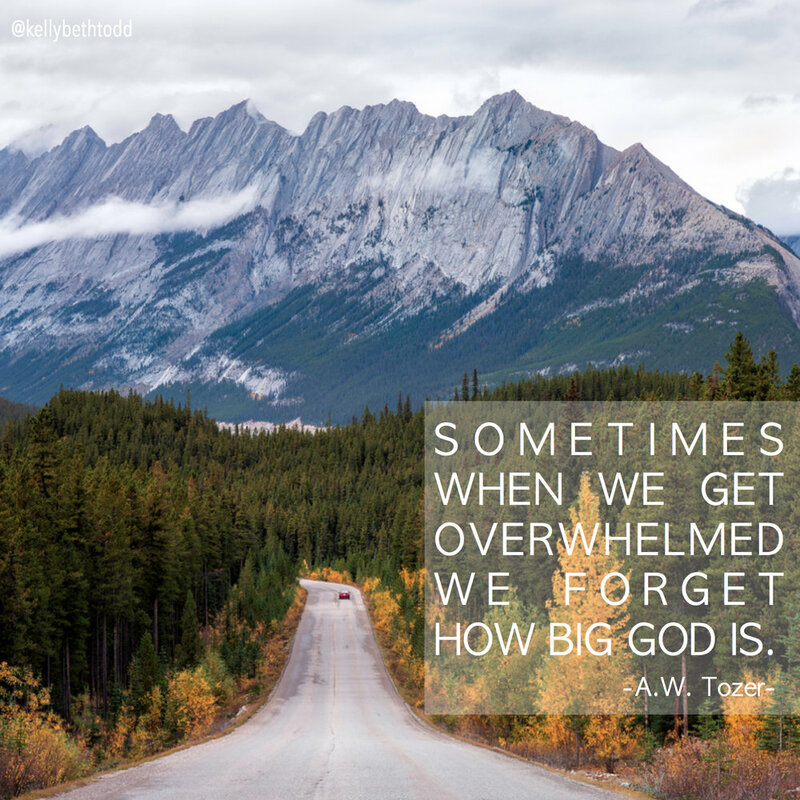 Clinging to God and trusting His plan for us was all I could do during that time. Monday night before bed I specifically remember crying out to God, as so many emotions came over me that night as I lay in bed. After receiving confirmation in the middle of the night that Mama A was admitted into the hospital, I called Derek to tell him to get on the next plane and I took an Uber over to the hospital. I was completely honored that she wanted me to be in the delivery room with her. It was such a special time and one that I will never forget. I held her hand and supported her, as she bravely brought her daughter into the world. After the birth she reached out to me and we hugged and cried for a very long time. I don’t think there was a dry eye in the room. A few hours later, Derek arrived and there could have not been a sweeter reunion. Over the next few days we continued to get to know our daughter’s brave birth mama. We are so inspired by her courage and the unconditional love she has for her little girl. We, along with her birth mother, named our daughter, Selah Nakora. Selah means ‘to pause and reflect’, or another interpretation says ‘to praise.’ We couldn’t think of a more fitting name for our baby. As soon as we brought Selah home our boys were so smitten with her and have already stepped into the “big brother” role so well. 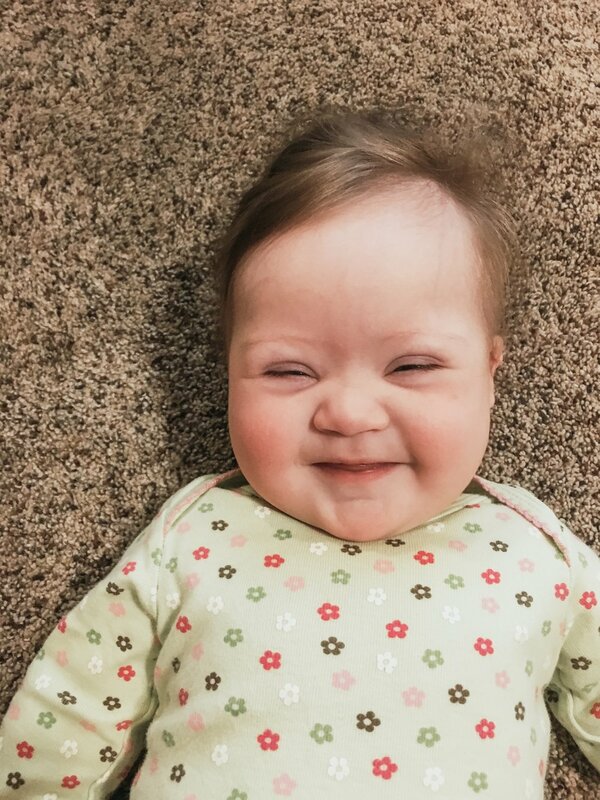 Our daughter is such a miracle baby in so many ways and we are so blessed to be her mom and dad.